What happened when an earthquake, a tsunami, and nuclear reactor meltdowns combined to devastate a populated region of Japan? Though lessons have been learned that could help save lives in future calamities, much is still unknown and solutions remain to be devised. 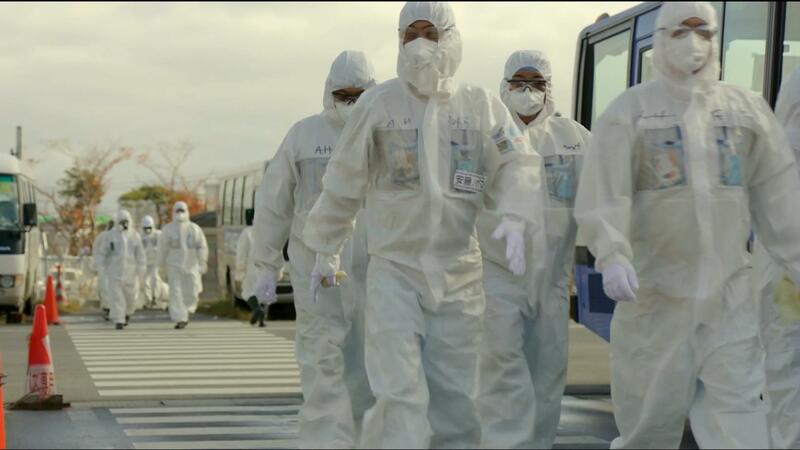 When you think of Fukushima, what does it bring to mind? I’m sure most of us will instantly recall the effects of the 2011 catastrophe there – the tragic loss of life and the radiation that was released into the ocean and the air when an earthquake, a tsunami, and a nuclear disaster combined to devastate that area of Japan. Closer to my home in Southern California, I remember that we braced for the possible impact of a tsunami (which went mostly unrealized) and were alerted to the potential for radioactive sea life, a danger that hasn’t completely receded. Let’s take a look back at the historic Fukushima disaster. On March 11, 2011, an earthquake hit just 43 miles off the T?huku coast of eastern Japan and was followed quickly by a tsunami set off by the mighty tremor. When the tsunami came ashore, it submerged the towns of Okuma and Futaba, in the prefecture of Fukushima, the home of the massive Daiichi Nuclear Power Plant. The combined events caused a deadly three-pronged disaster that featured both natural and man-made factors. The earthquake caused severe destruction, flattening homes and other buildings across the region. 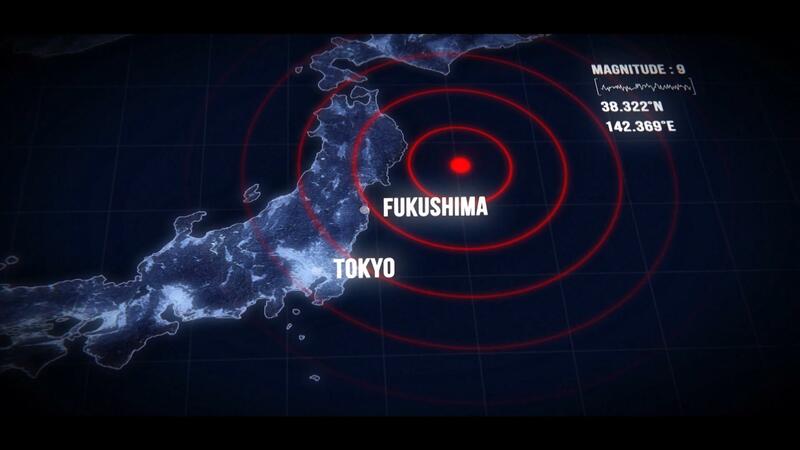 Then came the tsunami, washing over the coastline into Fukushima and flooding low-lying areas. When the tremors subsided and the water receded, the one-two punch of the earthquake and tsunami had been enough to make the disaster the costliest in history. It even affected maps of the coastline. The most enduring effects of the catastrophe stemmed from crippling damage to Daiichi’s power station and the resulting release of radioactive materials. Within a shockingly short period of time, three of its five nuclear reactors melted down, intense radiation leaked into the atmosphere around the plant, and radioactive water spilled into the ocean. All living things in the area were threatened by a nuclear accident as devastating as the Chernobyl disaster of 1986. Okuma and Futaba – and all the surrounding areas – were completely evacuated, and are still largely uninhabitable. A proper cleanup of the site and its nuclear radiation is not expected to begin until 2021, and there are troubling gaps in the existing technology required for the cleanup – some of the necessary devices and functionality for returning the area to habitability have yet to be invented. What Damage Did the Earthquake Cause? The T?huku earthquake alone, which measured 9.1 on the Richter scale, was a natural disaster of immense proportions. Entire neighborhoods were flattened, factories were destroyed, power was lost to the entire region, and, in some areas, soil liquefaction occurred. The earthquake was the most powerful temblor ever experienced by Japan, and among the most powerful to be recorded anywhere. Such an event, called a megathrust earthquake, is the most destructive of all types of undersea quakes. In this case, the sudden break in the surface of the ocean caused the seafloor to rise in an upthrust of nearly 25 feet along a crevice over 100 miles long 43 miles from the shore. Amazingly, the six-minute quake was so severe that it caused the Earth to shift on its axis. It even redistributed the mass of the Earth and, in the process, shortened the length of a day by 1.8 microseconds and altered the Earth’s axis by somewhere between four and 10 inches. Those are some earth-shattering effects! If the quake had been the only element of the multifaceted disaster, the damage inflicted on the area would have been less severe. Strikingly, the Fukushima reactors easily survived the massive tremor. Although the Daiichi plant lost power, backup generators kept the nuclear material cool, and all the reactors remained safe. What is a Tsunami, and What Role Did the Earthquake Play? Simply put, without an underwater earthquake as a precipitating event, there is no tsunami. When the seabed shifts suddenly and dramatically, the massive displacement of water leads to wave action starting at the epicenter and radiating out from there. As the wave develops, it may seem minor at first. However, it increases speed and energy as it approaches shallower water on its way to landfall. Traveling at close to 500 miles per hour, and gathering force and height as it traveled, the 2011 tsunami hit Fukushima with extraordinary power, rushing inland as much as six miles from shore and swamping everything in its path. Nearly 16,000 people lost their lives that day, with many thousands more injured and missing, and a total of about 230,000 lost their homes and property to the disaster. The Daiichi nuclear power plant was rocked successively in two ways on that late-winter day in 2011. First was the earthquake, which caused extensive structural damage to the plant. The active reactors, however, operated as they were designed to: they shut down automatically, systems remained normal, and radioactivity was contained. But then came the tsunami, and its impact was much more devastating. When it washed over the nuclear power station in Fukushima with waves as high as 130 feet, it disabled the emergency generators, which caused the power regulators to lose control of the cooling pumps that were designed to react to the rising temperatures in the reactors. Following that power failure, the reactors of Daiichi Units 1, 2, and 3 overheated, causing each to suffer a nuclear meltdown over the course of three days. Radioactive materials were released from the stricken reactors into the air and water. Then, four days after the tsunami impact, Unit 4 also overheated when its fuel rods could not be cooled sufficiently. In the immediate aftermath of the nuclear reactor meltdowns at the Daiichi Power Plant, the Tokyo Electric Power Company (TEPCO) – which built, owns, and is responsible for the nuclear power station – constructed a containment wall around the site that was supposed to eliminate any ongoing risk from the effects of radiation contamination. However, in 2016 the company revealed that groundwater had been found seeping into and out of the site below the containment wall. The water showed signs of radioactivity, and TEPCO announced that there was no available technology that could completely eradicate the risk of nuclear contamination of the groundwater. In 2017, TEPCO sent a robotic camera into Unit 2 and discovered that its level of nuclear radiation was virtually as high at the site as it was when it first began to leak. Clearly, much remains to be accomplished before a permanent and secure solution to the radiation issues at the Daiichi power station can be assured. Taken together, the earthquake, tsunami, and Level 7 nuclear disaster in Fukushima resulted in total estimated financial losses to Japan of $245 billion, making it the most expensive natural disaster on the books to date. And, of course, no price can be placed on the calamitous impact of the disaster upon the people of the region. If a cleanup is even possible, it is up to TEPCO and the Japanese government to ensure that it can begin in 2021, as previously promised. No doubt, this is a challenging goal, but achieving it will be an essential step toward the restoration of the Tohuku region as a whole, and to our collective safety.